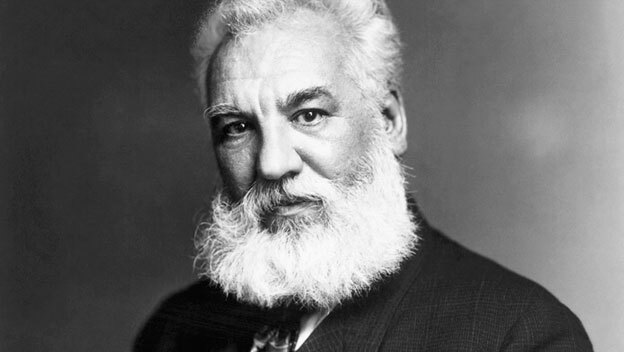 This is Alexander Graham Bell. He gets the credit for inventing the telephone, although it’s possible he doesn’t deserve it. Still, history is written by the winners, and it was the Bell Telephone Company that dominated the world of communications in most of the 20th century. Since most electrical terms (volt, ampere, ohm, etc.) are named after pioneers in electricity, it seems natural that the bel was named after Alexander Graham Bell. A decibel (dB) is one tenth of a bel, and is the more useful measurement. But what is a decibel? A decibel isn’t something you can smell or taste — it’s a unit of change. It can’t tell you how much of something you have, it can tell you how much more of something you have. It’s all relative, you see — and the easiest way to understand this is to use decibels to measure sound, which is where people tend to run into them in the first place. With sound, 0dB is relative silence. It’s not the total absence of sound, it’s the most silent you can get it our atmosphere. Space would be the total absence of sound because sound can’t travel without air. The funny thing about decibels is that they measure things in a way which will probably make no sense to you but it really helps with measuring things like current, voltage, pressure, and yes… sound. Follow along for a second. 10dB, that’s 10 times as much (pressure, voltage, sound, whatever.) 20dB, that’s 100 times. If you have a 2-digit number of dB’s, the first digit is the number of zeroes you put after the one. 50dB, that’s a one with five zeroes, or 100,000 times as much. Yes, it’s true, that will tear up your brain if you try to think about it too hard, but you need to measure stuff using this weird scale in order to really understand it. A sound that’s 20dB has 100 times more power to the sound waves than the waves you find in a silent room. You can add and subtract dBs easily, so you can say that a sound that’s 40dB is 100 times more powerful than one that’s 20dB, because 40-20=20, and 20=100x. Keep up, it doesn’t get easier but it will be over soon. You can also measure signal strength of an antenna in dBi or dBd, both of which measure the strength of this particular antenna compared to a reference level. It’s a way to compare antennas that makes for a little more level playing field. It’s pretty amazing how versatile that little decibel is, because you can use it to measure almost anything. Most of our blog team, for example, would like about 40dB$, which is a made up term around the office for $10,000. See, you can apply decibels to anything!